Getting here is an adventure itself! You will need a strong off-road 4x4 vehicle to attempt the road to Kalu Yala. Luckily, Tres Brazos Outfitters is an off-road transportation specialist with several vehicles and a regular transportation schedule for guests. 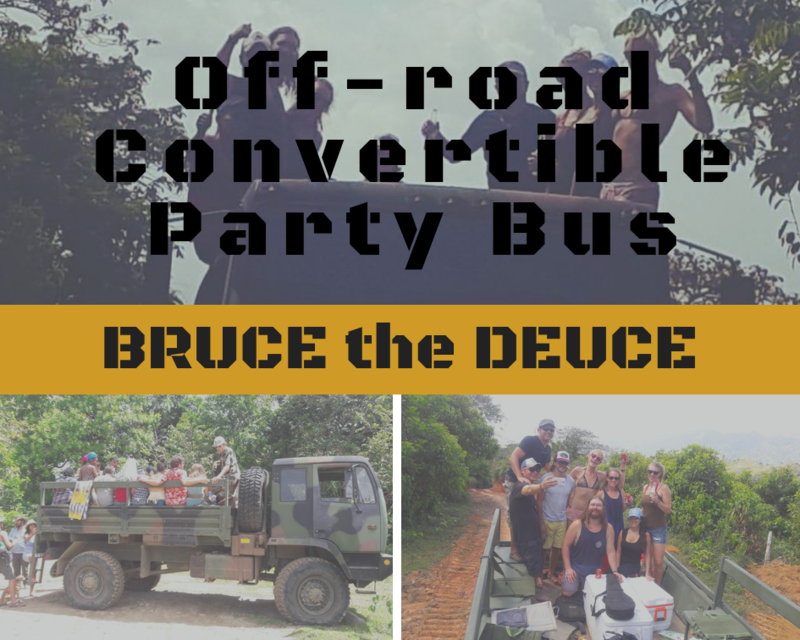 Bruce the Deuce dominates group transport so we can play in the jungle and party with our tribe!